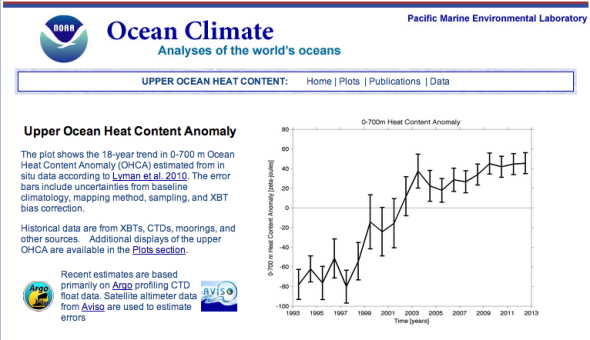 With no rise in atmospheric temps over the past 15-17 years, the latest bluff in climate alarmism is that the ‘missing heat’ is hiding at the bottom of the oceans. However, the first globally accurate network of measurement buoys (3000+ ARGO satellite buoys), which descend to depths of 2,000 metres, have detected no significant increase in ocean heat since deployment in 2003. 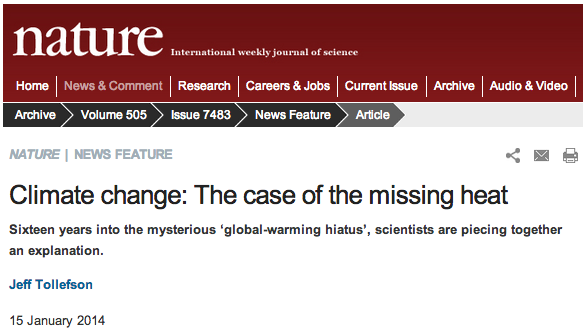 Nature Journal now fully embrace a “16 year hiatus” in atmospheric global warming. 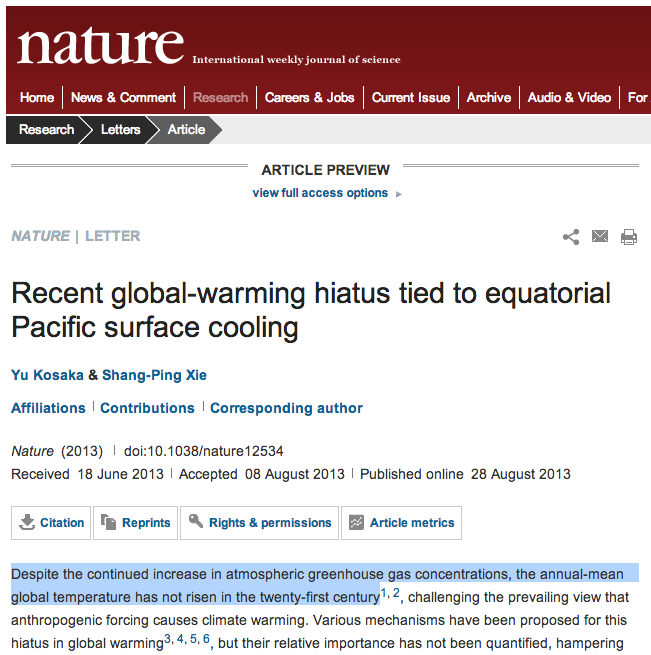 They cite the natural effects of the Pacific Decadal Oscillation (PDO), that “may be a crucial piece of the hiatus puzzle”. There is no mention of carbon dioxide, despite 35% of all human CO² emissions, since 1751, emitted over roughly the same 16 year period, having no effect on global temperature. With record carbon dioxide emissions having no effect on global temperature change over the past 16 years, it seems that something else, other than carbon dioxide, drives temperature and subsequent climate change. At the least, any effect human carbon dioxide may have, is clearly being lost as noise in the natural variability of the climate system. 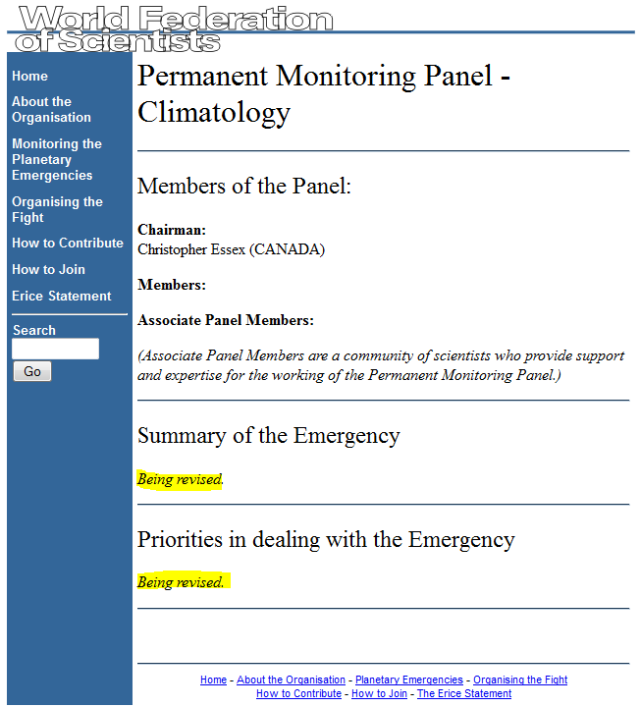 The World Federation of Scientists, at its annual seminars on planetary emergencies, has been advised by its own climate monitoring panel that global warming is no longer a planetary emergency. The President of the Italian Senate, Judge Pietro Grasso and the President of the Federation, Professor Antonino Zichichi, said that care should be taken to examine carefully the basis for concern about CO² emissions as well as the relevance and cost-effectiveness of proposed mitigation measures. Last year’s magistral lecture to the Federation was by Professor Vaclav Klaus, then president of the Czech Republic, whose talk was entitled The manmade contribution to global warming is not a planetary emergency. Left to right: Christopher Essex, Pietro Grasso, Vaclav Klaus, and Antonino Zichichi. The increasing fraction of CO² in the air could be expected to result in some warming, but it had been accepted that “the benefits of food production and the relief of starvation overwhelm concerns about the potential climate changes induced by land-surface modification.” He said the panel thought it essential to ask whether similar reasoning applied to global fossil-energy production. Professors Bob Carter and Murry Salby, who had questioned the severity of Man’s influence on the climate, were both ejected by their universities this year. He said the panel found persuasive indications that climate models systematically understated natural climate variability and significantly exaggerated the impact of CO² emissions. Accordingly, past, present and proposed policy measures could be shown not to provide net benefits to society regardless of the rate at which the planet might warm. Limited resources would be better devoted to more pressing issues. To avoid free and open debate, climate alarmists claim the “science is settled”. Subsequently anyone who shares a dissenting view is labelled a climate ‘denier’ ~ likened to those who claimed the holocaust never occurred. Bogus 97% surveys have been concocted claiming a scientific climate ‘consensus’ exists. However, consensus doesn’t decide science. The facts do. 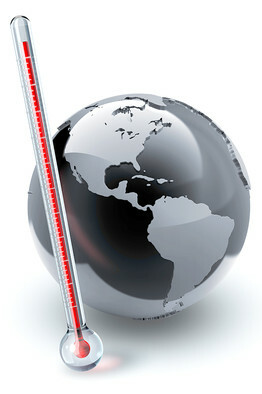 The missing hotspot « JoNova – The ‘Hotspot’ is crucial to the climate debate. Prior to 1955, 100ºF readings were common in New York State. They rarely happen any more. 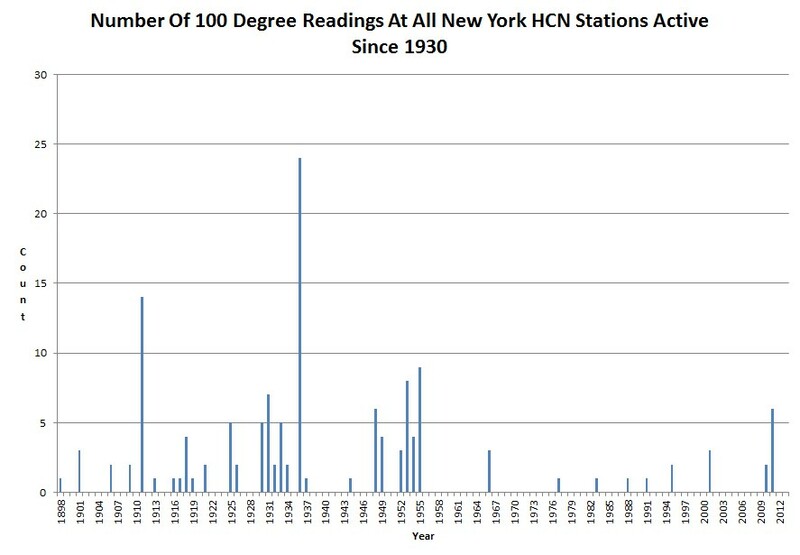 There are 30 HCN stations in New York which have been continuously active since 1930, and 90% of their 100ºF readings occurred with CO2 below 350 PPM. 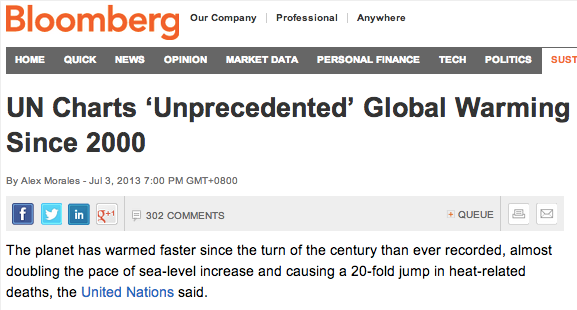 Ninety-three percent of those stations set their all-time record maximum with CO2 below 350 PPM. “Land…cannot be treated as an ordinary asset, controlled by individuals and subject to the pressures and inefficiencies of the market. 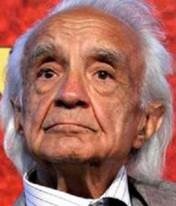 Private land ownership is also a principle instrument of accumulation and concentration of wealth, therefore contributes to social injustice.” From the1976 report UN’s Habitat I Conference. 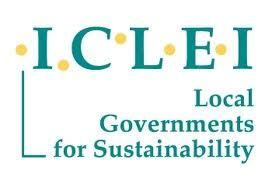 What are the UN’s Agenda 21 and ICLEI? 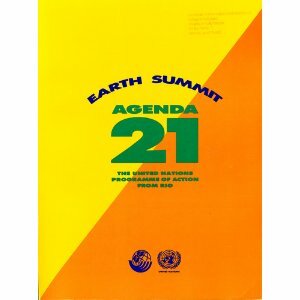 Agenda 21 is real so how will it affect you? 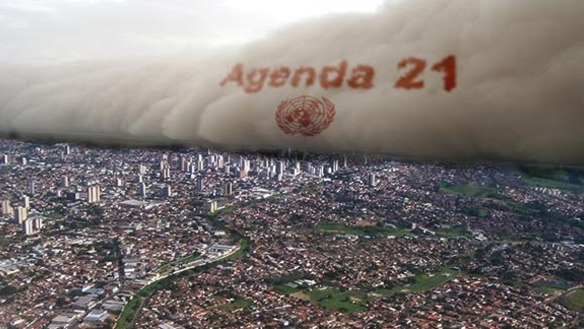 Agenda 21 Is Being Rammed Down The Throats Of Local Communities All Over America Alex Jones’ Infowars: There’s a war on for your mind! 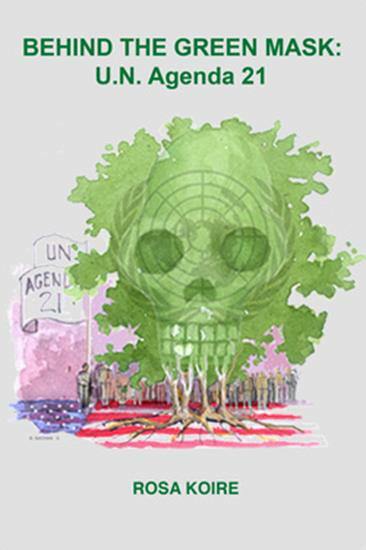 Royal Society & Agenda 21 : What is ‘Sustainable Intensification’? | In Verba – Updates about the Royal Society’s work on providing scientific advice to policymakers. NATIONAL WILDLIFE CORRIDORS – AGENDA 21 – AUSTRALIA – National wildlife corridors plan a major threat for landholders – unless guarantees are provided. 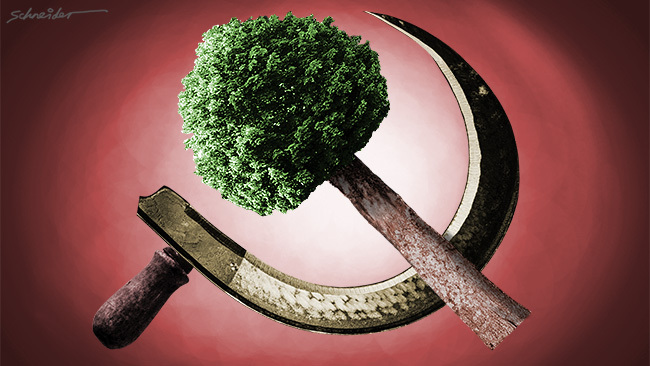 Interesting perspective – Agenda 21 Chapter 8 – The Final Coup – Tony G.
Is there a reason to be alarmed by the prospect of global warming? 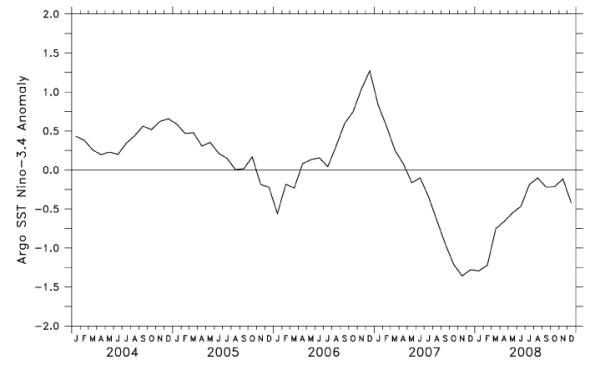 Consider that the measurement used, the globally averaged temperature anomaly (GATA), is always changing. Sometimes it goes up, sometimes down, and occasionally—such as for the last dozen years or so—it does little that can be discerned. because the changes are small, it is easy to nudge such data a few tenths of a degree in any direction. Several of the emails from the University of East Anglia’s Climate Research Unit (CRU) that have caused such a public ruckus dealt with how to do this so as to maximize apparent changes. The general support for warming is based not so much on the quality of the data, but rather on the fact that there was a little ice age from about the 15th to the 19th century. Thus it is not surprising that temperatures should increase as we emerged from this episode. At the same time that we were emerging from the little ice age, the industrial era began, and this was accompanied by increasing emissions of greenhouse gases such as CO2, methane and nitrous oxide. CO2 is the most prominent of these, and it is again generally accepted that it has increased by about 30%. The defining characteristic of a greenhouse gas is that it is relatively transparent to visible light from the sun but can absorb portions of thermal radiation. In general, the earth balances the incoming solar radiation by emitting thermal radiation, and the presence of greenhouse substances inhibits cooling by thermal radiation and leads to some warming. There is general agreement on the above findings. At this point there is no basis for alarm regardless of whether any relation between the observed warming and the observed increase in minor greenhouse gases can be established. Nevertheless, the most publicized claims of the U.N.’s Intergovernmental Panel on Climate Change (IPCC) deal exactly with whether any relation can be discerned. The failure of the attempts to link the two over the past 20 years bespeaks the weakness of any case for concern. Next time you’re at the beach take a deep, long sniff: That special coastal scent might not last forever. While you’re at it, put on some extra sunscreen: As that smell dwindles, cloud cover could, too.